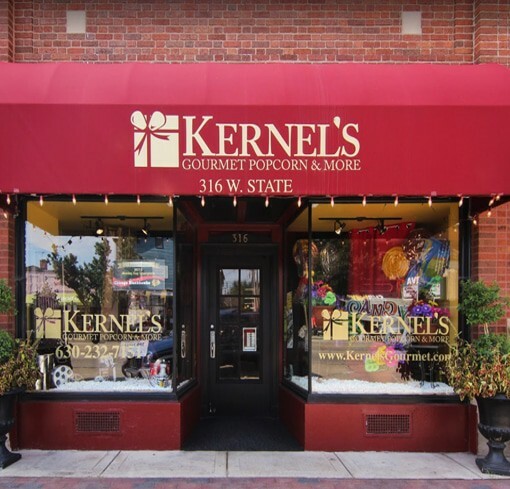 Kernel’s Gourmet Popcorn & More is the brainchild of owner Dann Villwock, a lifelong resident of Geneva, Illinois. With the help of his wife Cathy, their five sons, and other family members, Dann worked for months formulating the best blend of all-natural ingredients to make the perfect, buttery, crisp caramel corn that Kernel’s customers have come to know and love. In 2003, our original Kernel’s store in Geneva, Illinois (formerly Kernel Fabyan’s) expanded to a second location in Naperville, Illinois. In 2011, we moved our Geneva store from Third Street to a larger location at 316 State Street, and expanded our product line to include high-quality candies, nuts, gift baskets, and more. 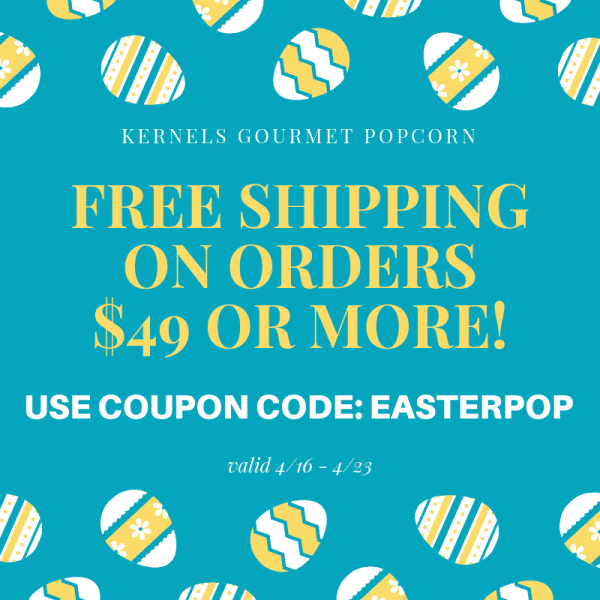 Kernel’s customers experience exceptional customer service, free samples, and the highest-quality gourmet popcorn around. Individual and customized orders, wedding favors, corporate gifts, birthday gifts, gift baskets, and bulk popcorn are Kernel’s specialties. No matter what the occasion, our popcorn, candies, and more are a delicious and timeless treat. Kernel’s received the 2012, 2013, 2014, 2015, and 2016 Daily Herald Reader’s Choice Award for the Best Popcorn/Candy Store in Kane County. Come visit us and find out why! Our downtown Geneva store has been on State Street since 2011, when we moved from our original store on Third Street.